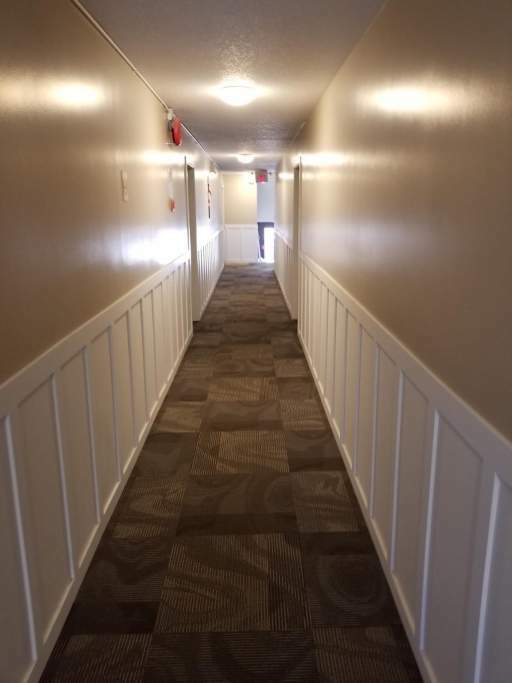 What makes Wynford Apartments great? This luxury apartment building is meticulously maintained and surrounded by manicured grounds. Our spacious suites feature individual temperature controls, 4 appliances, in-suite washer and dryer, and window coverings. 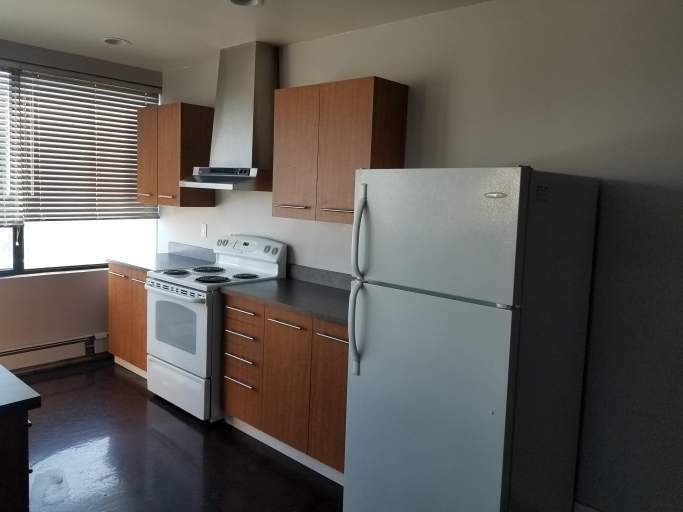 Residents also enjoy professional management, free parking, and heat and water included in their rent. Who lives at Wynford Apartments? 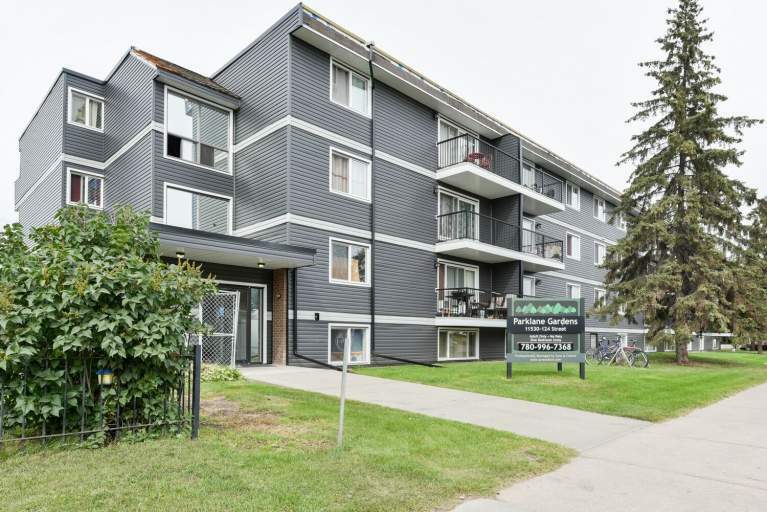 Wynford Apartments is perfect for anyone wishing to live close to trendy 124 Street, great restaurants, and downtown. There are many amenities nearby including pharmacies, convenience stores, cafés, and the Kingsway Mall is just five minutes away. Just down the road is 124 Street, one of the trendiest areas in Edmonton, where you can shop, dine, or explore with ease. 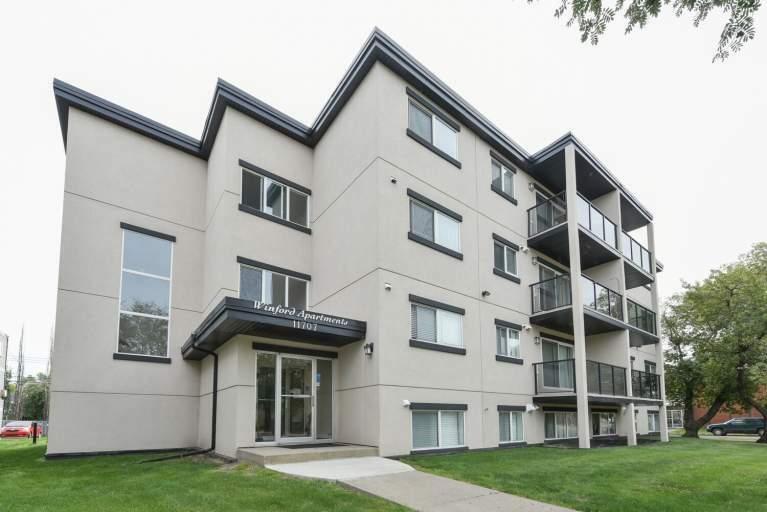 There are several small parks nearby, such as Coronation Park, a large green space with sports fields, a fitness and leisure centre, and an arena just minutes from Wynford Apartments. Our building is located on a major bus route with transit stops steps away.